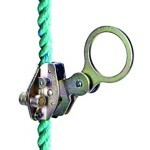 *This Comfort Twist Rope Grab for 1/2″ rope features a 90 degree carabiner attachment point that eliminates the need for a twisted shackle or swivel shackle. 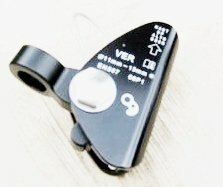 *Functions as an ascender aid similar to the Petzl micro-adjuster except the this rope grab is attached to the rope using a through bolt rather than a spring lock. 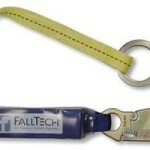 *For use with 1/2″ rope or 1/2″ wire core safety lanyards. 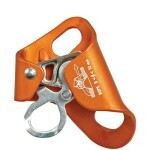 This Comfort Twist Rope Grab for 1/2″ rope features a 90 degree carabiner attachment point that eliminates the need for a twisted shackle or swivel shackle. 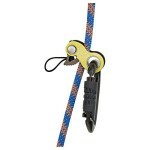 Functions as an ascender aid similar to the Petzl micro-adjuster except the this rope grab is attached to the rope using a through bolt rather than a spring lock. 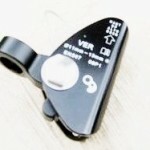 For use with 1/2″ rope or 1/2″ wire core safety lanyards.